In lieu of the George Mitchell steroid report/investigation/list coming out tomorrow, I wanted to go ahead and name my own names of those that should or could find their way onto that list. Let the names begin. 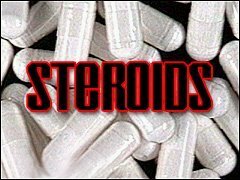 *These aren’t necessarily people that I think are going to be seen on this list, but they are people that I believe have used steroids.